Facial skin is more delicate and sensitive than the skin on rest of the body. This is why even slight changes in our living environment can affect the facial skin in an adverse manner. 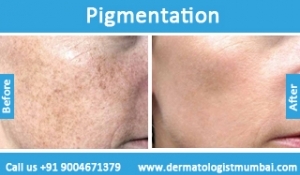 Face skin pigmentation is one such problem that can be caused due to excessive sun exposure, diseases, injuries, pollution and various other reasons. We are obsessed with looking good and always dream of having flawless skin. However, with time and due to excessive levels of sun exposure or related factors, face pigmentation has come to be a problem. With expert care and opinion, even face pigmentation treatment in mumbai is easy. With expertise of doctors and the best resources available for face pigmentation treatment in mumbai, there is set to be no looking back. 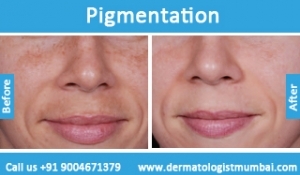 The team of experts looking to provide face pigmentation treatment in mumbai is leaders in the industry. With technology such as laser, this mode of treatment has indeed become easier than ever before. Our skin is composed of melanocytes that produce melanin, which in turn, renders us our skin color. Now, with exposure to sun, the production of melanin is heightened. This gets layered down under the skin, thus causing our skin to appear patchy, dark, and dull. This is called skin pigmentation. With the right skin pigmentation, you can say goodbye to all these skin problems and begin to look perfectly radiant—once again! Face Skin Pigmentation is caused due to excessive production of melanin pigment in our skin. 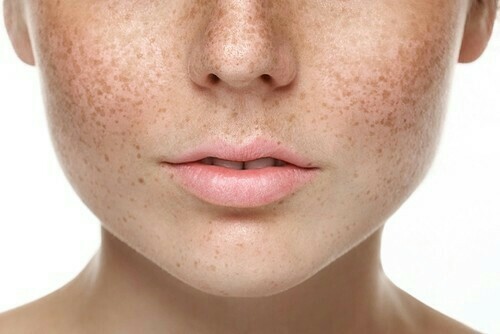 Face skin pigmentation is not just a symptom of excessive pigment production but that of irregular pigment production too. It is often seen in the form of brown-black spots or localized dark tan areas on the face. While precaution and caring for facial skin is the best way to avoid facial pigmentation, there are several ways to treat face skin pigmentation too. 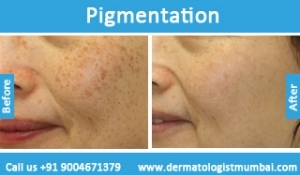 Laser Treatment for face pigmentation: This is undoubtedly the most effective and fastest treatment currently available in the market. Localized lasers are aimed at the pigmented area to break down the pigment build up. 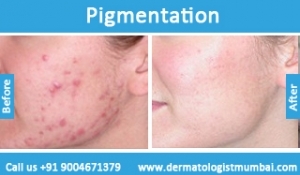 Various types of chemical peels are also available as treatment for face pigmentation. A chemical peel, essentially, removes the outer layer of dead skin cells, allowing new skin cells to emerge without any pigmentation irregularities. Both chemical peels and laser treatments should be administered under professional care to achieve best results and avoid further skin damage. 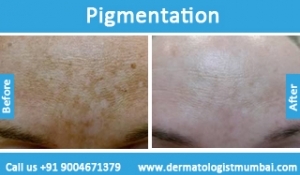 There are various options for getting face pigmentation treatment in Mumbai, but finding the one which suits your skin type and has minimal side effects is important. 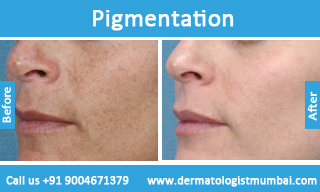 Dr. Rinky Kapoor has years of experience and professional expertise to administer the best face pigmentation treatment in Mumbai. 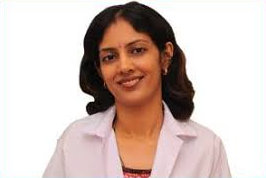 She is among the best skin specialists in Mumbai, bringing innovative treatment approaches to fore, offering customized treatment for face skin pigmentation.